Build Contest VIII: Theme Park - Results! Discussion in 'Sponsored Events' started by NickManEA, May 26, 2018. To begin with, in third place, we have @oowiS with his creation Cinema The Park! This is a very gorgeous theme park featuring a remarkable roller coaster! You may want to check his map . 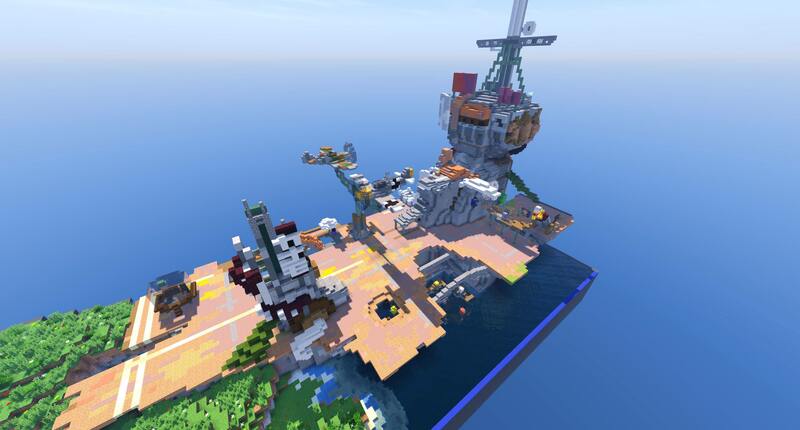 For this build, oowiS wins $10 to spend in the Brawl Store and 1 free map on MinecraftBuild! We hope you enjoy it! Her map features various rides replaced by sweets and fruits you would find in your local grocery! It features a citrus ferris wheel, a viking boat ride carved from a watermelon and a scrumptious chocolate cupcake carousel! 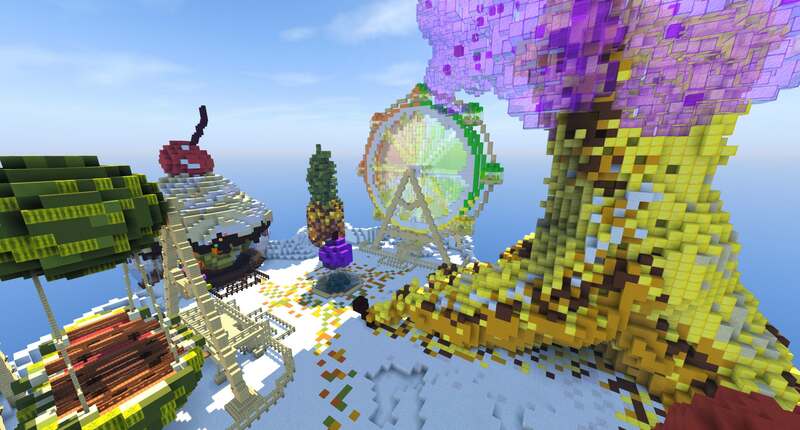 For her stunning build, skypenguu wins $15 to spend on the Brawl Store and 2 free maps to use in MinecraftBuild! Congratulations! On the top step of the podium, in first place awaits us @Knaber and his theme park based on an aircraft carrier, Carrier Park! It includes a variety of attractions and rides awaiting, from water ferris wheels to airplane spinners! There has been plenty of work put by Knaber to get this detailed outcome. A very well deserved first place. The winning prizes of Knaber are $20 to spend on the Brawl Store and 3 free maps to use in MinecraftBuild. Congratulations on the first place! For this contest, the Build Team and Build staff were introduced to a new way of judging entries. We voted from 0 to 10 on three different criteria. The criteria for the final ratings were: (O) - Originality, (D) - Detail, (L) - Look. Every participant is free to have a look on their final ratings in the spoiler below and see what they can improve on for the future! What did you think of the contest? Any suggestions or feedback for the future? Let us know down below! Remember that even if you didn't win, you've still got a chance at winning the Builder of the Month award every single month! 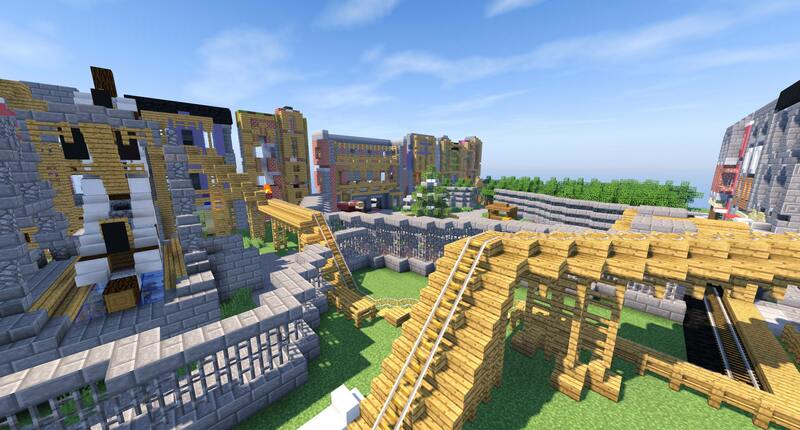 (duh) Just head over to Build Showcases and submit your map, and you'll automatically be entered into the running. More info (including prizes) here. these are sick, looking forward to the next one! Very creative builds, nice job everyone! 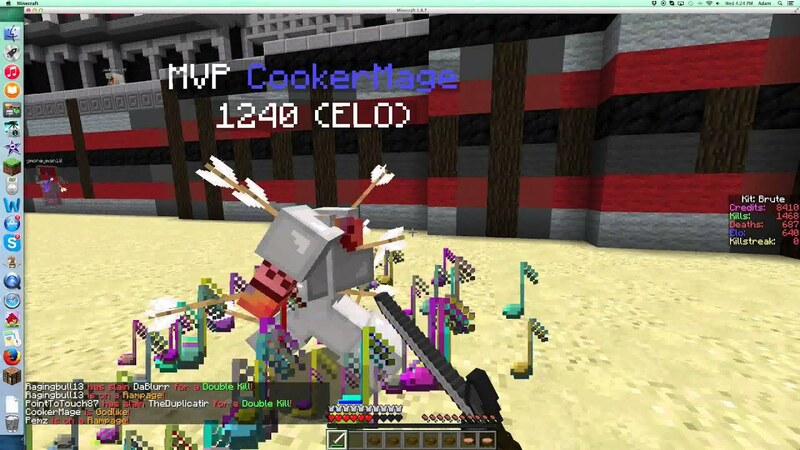 I just hope roke doesn't do what he did to crow (aka) "you don't need more maps lolololol"
Congratulations to all the winners and thank you all for submitting your maps! We are looking forward to seeing more awesome builds you guys make! wtf is a headless lol?